Dr. Patricia Turner (right) was only 13 years old in 1959 when she she became a history maker as one of the Norfolk 17 -- the first students to desegregate Norfolk Public Schools. "I just wanted to walk to school," she said as she recounted the obstacles and challenges she overcame in order to attend Norview Juior High School, her neighborhood school. Turner gave a powerful talk to our Rotary Club on Nov. 20. 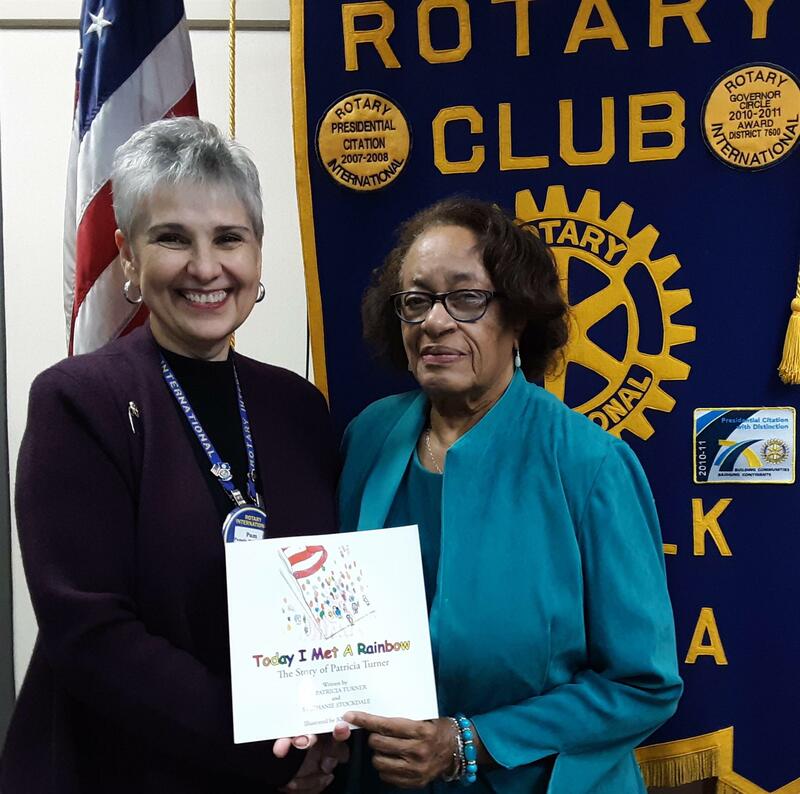 Pam Tubbs, club president, let Turner know our club will present a book about her to Blair Middle School, where Turner taught math for 16 years until retiring in 2008.